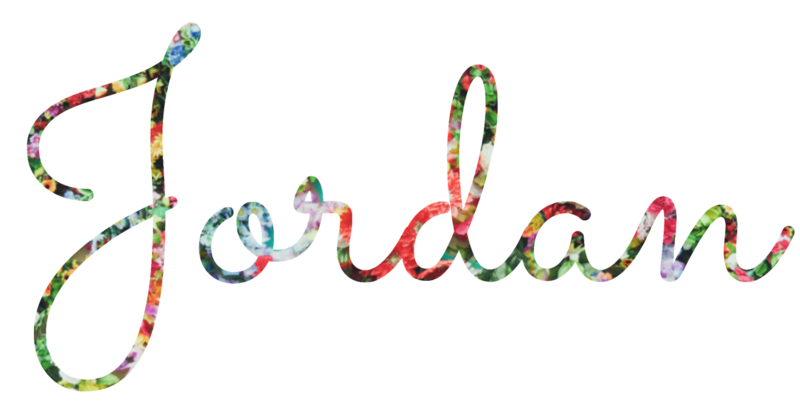 I love a white-on-white look as much as the next look, but why not add floral embroidery to spice things up a bit? This white and floral beauty is beyond amazing. It's so stunning, that I am thinking about investing in the other color option. The high neck line is super flattering, but my favorite part? You can pair it with a comfortable cardigan when the weather starts getting chilly. 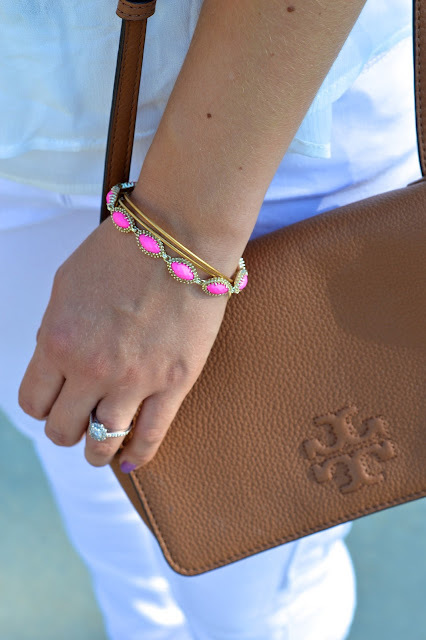 I loved adding pops of color to this white ensemble a la my pink sunnies and a pretty pink link bracelet. Love all white outfits! The embroidered top adds such beautiful details. These JC shoes have been on my list for so long now!!! Are they worth it?